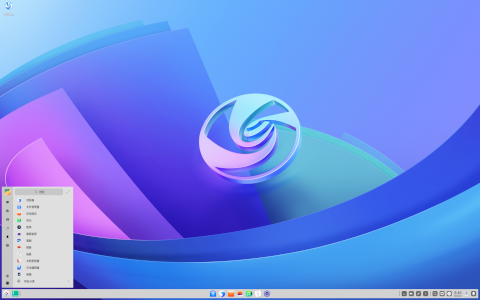 Rate this project The deepin project has published a new release of its Debian-based distribution featuring the Deepin Desktop Environment (DDE). The project's latest release, deepin 15.7, focuses on optimizations and reduces the size of the distribution's ISO, and lowers memory consumption and power consumption. "To reduce power consumption of laptop, 'power saving mode' is added in deepin 15.7. Your laptop can enter power saving mode automatically when using battery. In this way, laptop standby and working time is increased. Preliminary tests show that in our test environment, standby time is extended 20%. deepin 15.7 has made a series of adjustments and optimizations in memory usage. In the standard configuration, the boot memory has decreased from 1.1 GB to 830 MB, and reduced to less than 800 MB on a discrete graphics card. Adjustments and optimizations for other functional modules have been made as well. Dock - added OSD when turn on/off microphone and WiFi, added the animation when dragging and dropping icons from dock. Control Center - added power saving mode and auto mode switching function for laptops." Further information, along with screen shots, can be found in the distribution's release announcement. Download: deepin-15.7-amd64.iso (2,394MB, SHA256, pkglist). deepin is a Debian-based desktop distribution which features the custom-made Deepin Desktop Environment (DDE). The project's latest version is deepin 15.9 which features improved touch screen support, better power management and several desktop performance enhancements. "New features: Multiple gestures, tap and see - for touchscreen devices, multiple gestures are supported, including click, double click, long press to call out the context menu, slide up and down and others. Working together with onscreen keyboard, you are able to enjoy the free operations on touchscreen. New feature - Smart Mirror Switch in update settings. Switch it on to connect to the quickest mirror site automatically, which speeds up the download and installation to save your time. Control Center: Supported dragging and dropping pictures to change boot menu background; fixed the crash caused by keyboard settings module; supported checking password strength; fixed the bug that the default applications list was not refreshed; fixed the bug that the prompt text was not hidden automatically after switching off "Auto-download Updates"; fixed the incorrect time on Time Settings page; fixed the null pointer exception when update; fixed the bug that the current language was not identified when searching the language." Additional details can be found in the distribution's release notes. Download: deepin-15.9-amd64.iso (2,243MB, SHA256, pkglist). A new version of deepin, a Debian-based distribution featuring the Deepin Desktop Environment (DDE), has been released. Version 15.8 brings a re-designed control centre, a full disk encryption installation option and various other improvements and bug fixes: "Compared with deepin 15.7, the ISO image size of deepin 15.8 has been reduced by 200 MB. The new release features newly designed control center, dock tray and boot theme, as well as improved native applications, hoping to bring users a more beautiful and efficient experience. Dock - fashion or efficient mode. In fashion mode, a hide/show button is added in the new designed dock tray, click it to hide the icons in tray area and save the dock space. And the power button is separated from the tray area to reduce the clicks and to avoid the function confusion. 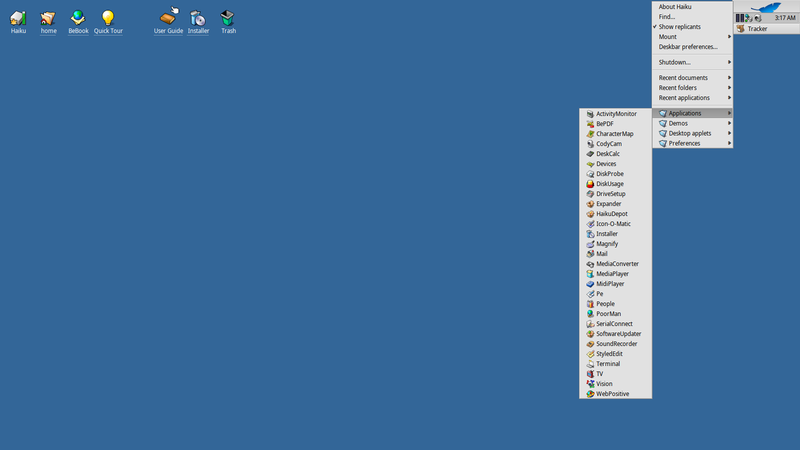 In efficient mode, the right corner is set to show desktop and the previous 'Show Desktop' icon is removed to meet user habits. In the new control center, the weather page, system widgets and bottom tools are removed and the layout is re-designed to improve the efficiency. What's more, the new control center is adaptive to different resolutions and languages." See the release announcement for further information and screenshots. Download: deepin-15.8-amd64.iso (2,201MB, SHA256, pkglist). deepin is a Debian-based Linux distribution which strives to provide an attractive and user-friendly experience via the Deepin Desktop Environment (DDE). The project's latest release, deepin 15.6, features a new welcome window and a quick settings navigation bar. There is also a new launcher window, designed to use less screen space along with a new user's manual. "The newly added welcome program demonstrates and guides deepin personalization. When boot after deepin installation, the welcome program will be automatically shown, playing video introduction and guiding you to set desktop mode and icon theme, which can be opened later by clicking "dde-introduction" icon in Launcher. The navigation bar sticks on the left of the Control Center. Click the module icon on the left to quickly skip to the settings you want, no need to scroll up and down any more. Moreover, display scaling function is integrated in Control Center for HiDPI screens. Launcher in small window mode better fits the habits of dual system users and new users, making the transition easier. The sequence of applications in the 'All Programs' list is the same as that of the fulls-creen mode, with the newly installed applications listed at the bottom, supporting dragging to reorder the list." Further information and screen shots can be found in the project's release announcement. Download: deepin-15.6-amd64.iso (3,138MB, SHA256, pkglist). deepin is a Debian-based distribution featuring a custom desktop environment, called Deepin Desktop. The latest version of the distribution, deepin 15.5, introduces several important features, including HiDPI support, fingerprint scanner, wi-fi hotspot sharing and support for installing Flatpak packages. "deepin is a Linux distribution devoted to providing beautiful, easy to use, safe and reliable system for global users. deepin 15.5 mainly added HiDPI, fingerprint scanning and Flatpak application format. It migrated Deepin Crosswalk to the new web application framework, pre-installed Deepin Clone and Deepin Recovery, newly added touchpad gesture, wi-fi hotspot sharing and color temperature adjustment as well as comprehensive optimization of network module and desktop environment. Applications in Deepin Family and applications related to Deepin Wine have been upgraded to the latest version. Details of these new features, a video of the Deepin desktop in action and screen shots can be found in the project's release announcement. Download: deepin-15.5-amd64.iso (3,266MB, SHA256, torrent, pkglist). The deepin team has announced the availability of a new release of the project's Debian-based distribution. The new version, deepin 15.4.1, provides mostly minor updates over the previously released 15.4 branch. "deepin is a Linux distribution devoted to providing beautiful, easy to use, security and reliable system for global users. As a revised edition, deepin 15.4.1 added Launcher mini mode, application start animation and window preview effect, optimized 2-D mode of window manager, fixed bugs that forum users submitted and updated Deepin applications to the newest version. Launcher mini mode is added, back to the classic operating way. Two modes are provided for user to switch freely. Well-designed application start animation increased the interest to run application. It’s more efficient to drag and drop file to the application on Dock for opening. Window preview effect is back to make your desktop more vivid. Rebuilt Deepin Screenshot, really can start in one second. Newly designed the toolbar and marquee, added the function to directly capture context menu." Additional information and screen shots can be found in the project's release announcement. Download (MD5): deepin-15.4.1-amd64.iso (2,558MB, torrent, pkglist). The deepin project, which develops a Debian-based Linux distribution with a custom desktop environment and several applications developed in-house, has announced the release of deepin 15.4. Despite a minor increment in the version number (from 15.3 to 15.4), this is a major release with many improvements and package upgrades: "deepin 15.4 has brand new design for Control Center and desktop. It adopted new blur and transparent style, new interactions for hot corner and window manager, along with selective wallpapers, full-screen installation interface, latest stable kernel version and original Deepin applications. It has added traditional Chinese (Hong Kong) and Amharic language support. The Control Center has brand-new design and interactions; the homepage shows quick-access icons for common settings to make the operation easier and faster. The newly designed installer has full-screen interface, fuzzy background, smart detection, friendly reminder and 'scan QR code for feedback'; you can experience the incredible pleasure of deepin just after drinking a cup of coffee." See the release announcement for more information and screenshots. Download (also available from Google Drive): deepin-15.4-amd64.iso (2,491MB, MD5, pkglist). Nearly a month after the last development build, the deepin team has announced the availability of the release candidate for the upcoming deepin 15.4, a Debian-based desktop Linux distribution featuring Deepin Desktop Environment as well as a range of custom applications and usability improvements: "After the public test of deepin 15.4 beta, we have received a lot of suggestions and feedback, we adopted some of them and fixed many problems. Here are update details of deepin 15.4 RC: pre-installed brand new desktop wallpapers; optimized keyboard layout function so it can be switched by shortcut keys; optimized interaction experience of desktop hot corner; optimized details of system user interface; fixed blurred screen issues for Intel integrated graphics card users; fixed issues with the wallpaper thumbnails where they did not match the set wallpaper; added custom weather location in Control Center; added controls for playing music; added custom settings for multi-screen setups...." See the detailed release announcement for further information and screenshots. Download: deepin-15.4-rc-amd64.iso (2,495MB, MD5, pkglist). deepin is a Linux desktop distribution based on Debian's Unstable branch. The deepin project develops the custom Deepin Desktop Environment, along with a collection of graphical application for playing media and installing software. The deepin project has announced the availability of a new development snapshot, deepin 15.4 beta. The new testing snapshot includes a revamped control panel and updated kernel for improved hardware support. "deepin 15.4 beta has the newly designed Control Center, and it includes a series of Deepin Original Applications. It is easy to use with great beauty and has improved the user experience a lot. Besides, the kernel version has been upgraded to the latest stable version, it has improved the stability and compatibility. Due to the active feedback from alpha test users, deepin 15.4 beta has an outstanding improvement on completeness and compatibility." Further information and screenshots can be found in the project's release announcement. Download: deepin-15.4-amd64.iso (2,325MB, MD5, pkglist).